Michael Regan/GettyRomelu Lukaku has become one of the biggest soccer stars in the world. Manchester United and Belgian star striker Romelu Lukaku decided he was going to become a pro soccer player when he was six years old after realising his family was poor. Lukaku has risen through the ranks to become one of the best scorers in the world, both in the Premier League and on the international stage. 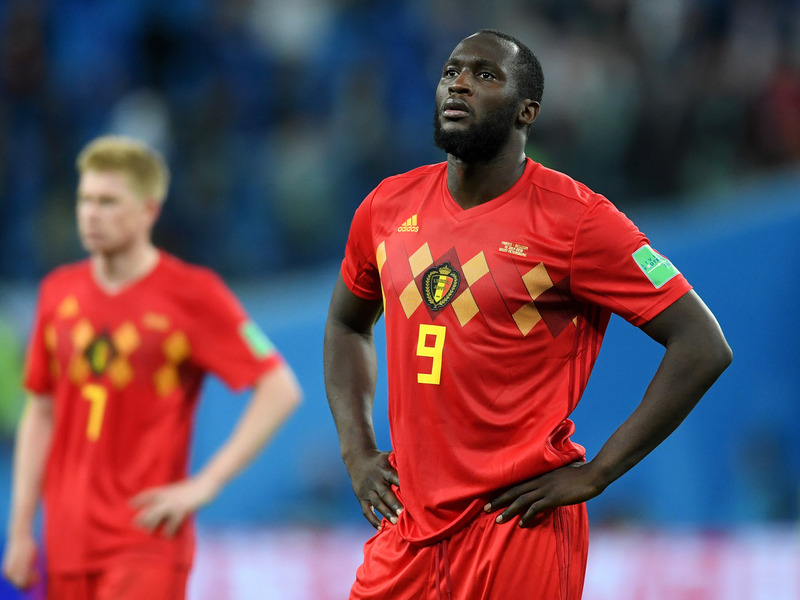 Lukaku has loved his World Cup experiences but sees an end in sight for his time with the Belgian national team. 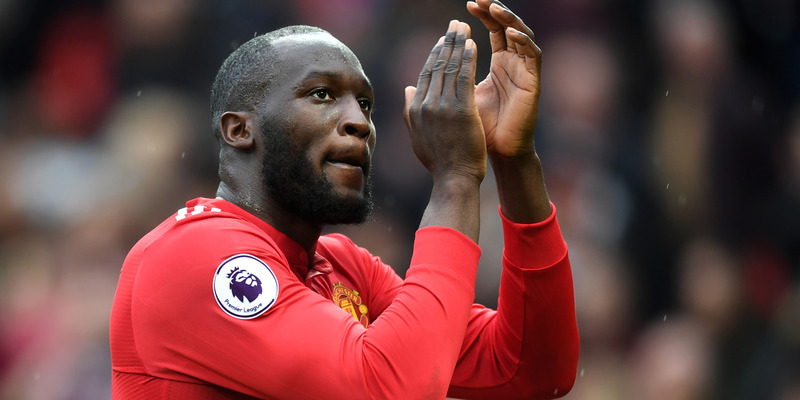 Lukaku intends to continue improving with Manchester United, where he shares a good relationship with Jose Mourinho, but he’s most excited about what he’s been able to do for his family with his career earnings. Romelu Lukaku has become one of the biggest stars in all of soccer. The 25-year-old Belgian striker rose quickly through the Premier League, becoming one of five players to score 50 goals before they turned 23. In 2017, after taking a star turn with Everton, Lukaku landed in Manchester United on a five-year, £75 million ($US95 million deal). Additionally, Lukaku is part of what can be considered a golden generation for Belgium. Alongside players like Kevin de Bruyne and Eden Hazard, Lukaku helped carry Belgium to the semifinals in the 2018 World Cup where they lost to the eventual champions, France. 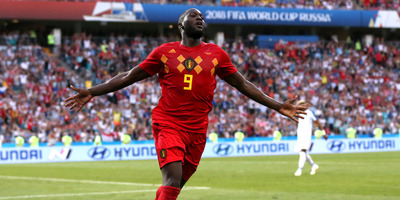 Lukaku is Belgium’s all-time leading goal scorer, with 40 goals in 70 games. 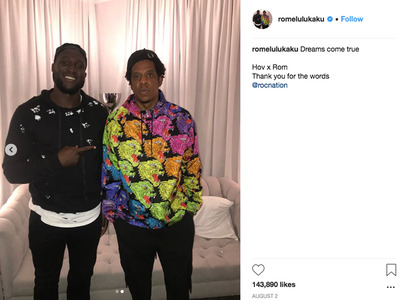 Lukaku sat down with Business Insider at the New York City office of Roc Nation, where he recently become the first Premier League player to sign with the agency. Lukaku discussed his rise to fame from a humble background, his World Cup experience, the end of his international career, Jose Mourinho, and more. Francois Nel/Getty ImagesRomelu Lukaku helped lead Belgium to the semifinals in the 2018 World Cup. Scott Davis: What have both World Cup experiences been like for you? Romelu Lukaku: The first one was quite a new experience for me. I was 21 when I went there. I ended up on the starting team because of circumstances, because I wasn’t even playing throughout the qualifications round for the tournament. So for me it was a bit difficult. I had to prepare myself mentally, but I put a lot of pressure on myself. It was not the best tournament, because the first three games I didn’t really play well. I was going through a lot at that period as well. My dad’s health was not really that well, so soccer came in second place for me. Now if I compare it to the last World Cup, five years of experience changes a lot. I was more confident, more experienced. Playing for Man United helped me a lot. Me evolving as a player helped as well. I was more confident. I knew what was going to happen and I tried to seize the opportunity. And, you know, we made it far, but you still want to win the trophy within, but we set a new standard for the country and that’s good too. Davis: You mentioned the pressure you put on yourself. What’s it like having the pressure of a whole country on you. Is it always on your mind? How do you block it out? Lukaku: I blocked it out. Basically, as soon as we started training camp, I cut off all my social media. Also my phone. I had another phone so I’m not really – people can’t really get in touch with me. And, you know, you start reading books or watching Netflix. So that was really my thing. Watching Netflix, reading books, playing Xbox. So yeah, that was it. Playing cards with my teammates, going to the gym a bit more because, you know, like for four weeks you just need to prepare to try to be at maximum shape so you can win. You know, I’ve worked hard and I felt great throughout the tournament. I couldn’t even really connect with what [people were] saying. So every time when I would go to the table – I remember when Zidane, from Real Madrid, when he left the team, when I went to the table, the players were talking about it for two days and I’m, like, “Yo, yo, what happened, what happened?” And then they told me Zidane left Madrid and I was, like, “Whoa, what happened? !” It was a shock for me because I didn’t know. It was also cool because then you really see that you’re so focused on something that you want to achieve. And it helped me also on the field with practice and with the games because you have a different focus than before. Davis: There’s a pretty good amount of time between games. Were there any good books or good shows you were watching? Lukaku: I watched the “Power” season again. I watched “How to Get Away with Murder.” I mean, it’s quite amazing how the people get out of the situations when they did something like that, with the lawyers and stuff [laughs]. So that’s kind of cool. Davis: How was Russia as a host nation? Lukaku: I would say the World Cup was really, really well organised. The fields, the stadiums were great. The people were great. The transportation from the stadium to the airport. Everything was great. Well organised. So I can’t really complain about that. They did a really good job. Davis: Which countries had the wildest fans? Did anybody stand out to you? Lukaku: The Brazilian fans. There were many, many, many. When we played against Brazil, you only had maybe 500 Belgian supporters and then you had Brazilians in the stadium. Argentina, they had a lot of fans, too. When we played in Moscow or Petersburg, we had a lot of fans. England fans, they were great too. So yeah, the really big football nations. Laurence Griffiths/GettyRomelu Lukaku may retire from international play in 2020. Davis: What’s next for the national team? You guys came up a little short of your goal, as you mentioned, but now you guys have set a new standard. What do you see going forward? Do you think you’ll play in the next World Cup? Will Belgium return a lot of guys? Lukaku: I think after the Euros I’ll stop. But then, for me, also for the next generation, going to the semifinals, it’s a must from now on. Because when you see how all of the Belgian players are evolving in how they play, so now, for us, going to the Euros, you have to go to win. That’s going to be our goal. You know, it’s going be a long process so you have two years to prepare for it. You never know what’s going to happen in those next two years, but you know, you have to go to the semifinals first and then we see from there. So every big tournament for us as a country has to be getting into the semifinals and then you go from there. You will go to win the whole thing, but you know, you don’t go for less than the semifinals. Davis: How do you help prepare the next young class of Belgian national team players? Are you hands-on with them? Do you teach them anything? Lukaku: Well, because I’m 25, I’m not even in my prime yet. So I still see them as competition right now because they try to take my spot, and I don’t want to give it up to them. So another two years and then they can have it. But for me, well, it’s just, you just try to, when we practice, you just try to give them that little advice. When we do shoot-arounds or we do little games, you just try to advise them on the body position or how to post up on defenders and stuff like that. But they learn fairly quickly. The training that they get is even better than we had and our generation had because it’s more specialised, the trainers get better and stuff like that. So the training that they have now when they are at our age, they should be better than us. The only difference that we have and they have is we have the real hunger. Because with soccer now, at the minute, there’s a lot of money involved at a young age. Money that you can earn in the pros, you can earn it already at 12, 13. So it takes the hunger away from you. So that’s the only difference between us and them – it’s the hunger. Davis: Since you mentioned the idea of hunger, I wanted to bring up your Players’ Tribune piece. It’s very personal. You talked a lot about your hunger as you grew up without money. Can you just talk a little bit more about your background in terms of how you got into soccer, how you trained? How did you become a star player? Lukaku: When I was 5 there was the World Cup of ’98 going on. In Belgium at the time, you could start soccer from 6 years old. So what my dad did, he recorded all the goals that were scored. And you would play the videos every other day, and I would watch it with my brother over and over and over again. So at one point, you start memorising the actions and the goals … I would watch Ronaldo, the Brazilian, for years. And then when I was 6 I started. I played for my first team … a team in the neighbourhood where I grew up. I went there and everything went well. Fairly quickly, I realised that my family was in poverty because I obviously saw my mum mixing water with milk one day for breakfast. So at that time, you see that happening. Sometimes I would see my mum also heating up water with like a gas burner. And then I would take a shower with, like, I would take the water and then a plastic cup, put it in the water and then mix it with cold water and then put it on top of my head. True story. So then when you start realising that, you try to find a way how to become successful but at a really fast age. And because with soccer, I knew that I was fairly good and could score easily. I thought you know what, when I was 6 I said to my mum: “Listen, this is going to be, this is how we’re going to make it.” At 16 you can play and then everything’s going to start from there. And you know, every year I try to improve and get better. And even though our financial situation never improved, or even got worse – because we got kicked out of the first apartment where all those stories happen and then we had to move around the place – even though our financial situation didn’t improve, I still kept the same hunger inside because I didn’t want those situations to happen ever again. Sometimes we would go through humiliating moments, but, you know, I will say sometimes when you go through those times it makes you stronger on the other end. It was a negative, but it ended up as a positive. Davis: How did you train as a kid? Were you just playing in the park, running around the neighbourhood? Lukaku: By myself, by myself. I never did, like, the running part because I’m not a good long-distance runner. I’m more like a sprinter. But I would just go take a ball and go to the soccer pitch that was two miles away from my house. I would walk there with three or four balls in my hand and then shoot, all day, shoot, shoot, shoot. Try to score as much as I could. Sometimes my dad would come and see how I shoot but he wouldn’t say anything; he would just let me do my thing. I was just a man on a mission since I was 6. I think everybody’s born with a talent – it’s up to you to discover what your talent is, and then try to master it. And for me, it was scoring. I just knew, OK, I’m going to score. I could shoot with my left and my right and my head when I was 8 or 9. And for me, it was just finding a way how to master it, how to score in different ways, and that’s what got me here. Davis: Watching those tapes of the World Cup, you said you started to break down the action on the field. You’re viewed as a very heady player; you make a lot of good plays even when you’re off the ball. How much did that help you to get a fundamental understanding of how to be effective, even without the ball? Lukaku: It’s just something, because I watch soccer all the time, at some points in the game I just recognise the situation. I just know what’s going to happen. Sometimes I know when I have to touch the ball and make a certain type of run to free up my teammate. Fundamentals are really important. People never known really that side of my game, but now they do know. I have been having it for years. But for me to show it now on the biggest platform was the best thing for me because now people know that, you know, I’m not just only a scorer but I’m also a guy who can make my teammates better with the right plays at the right time. Davis: You had the dummy play against Japan. How did you see that breaking down? That was a crazy ending – you guys came back from down 2-0, and in the final seconds you guys counterattack. How did you have the trust in your teammates to know what you were doing? Davis: You made eye contact with Nacer? 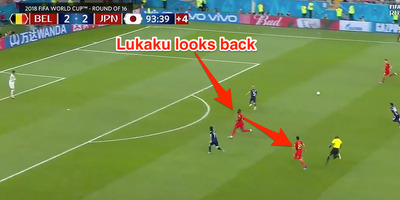 Lukaku: Yeah, you see it clearly 10 yards before we get into the box; you see me looking, like this, and then he just didn’t say anything because he thinks, “OK, I’m going to score, I want to score.” But I see him running. I said, “You’re in a better position than me – go and finish it.” So I let him run. Fox Soccer/TwitterRomelu Lukaku made eye contact with Nacer Chandli to set up the dummy. Davis: Does that rank highly in the favourite plays of your career? You didn’t even touch the ball and you’ve had a lot of goals and assists, but is that high up at all? Lukaku: It does, but I didn’t get the assist for the goal [laughs]. I still want to have that in the stats, but yeah, it does, it does. Davis: Coming off the World Cup, how do you kind of switch gears to go into Premier League? Lukaku: The most exciting thing for me is what can I add more to my game. There’s always something that you can add to your game. There is also the improvement of the season before. I always have the feeling that I’m going to be better than last year. So I’m just excited for what’s going to happen for me personally as a player. I just know what to improve on. But then, what’s going to be the result of all the work that I’m going to put in throughout the season? So that’s the most exciting thing. But then as a team itself, I wonder if we can go all the way to try to win it. Not only one title, but several titles. Davis: What’s it like working with José Mourinho? Lukaku: It’s good. I would compare him with Gregg Popovich. People are always, like, you know, they try to judge him in a certain way in saying, he’s like this, he’s like that, but he just gives you an image of him. But on the side, I get to see a total different image of him where he’s really cool. We make jokes. He would send me like sometimes good advice, or funny videos. He’s really a family guy. That’s how I know him. We have a good relationship. It’s nice to play for him. Davis: A lot of NBA players say that when you’re close with Popovich, your relationship goes beyond basketball. Is it like that with Mourinho? Lukaku: Yeah, it’s the same thing. Same thing. When I worked with him the first time, I could see it as well. But from last year to now, I mean, I can’t even complain. There was not any one thing that I can complain about. The only thing is, people need to understand that we play this game not to lose. We play this game to win. So when you lose, you get angry, you get upset. So for him, when he’s upset, he’s a type of person that you can really see that he’s mad or angry. So this is normal. This should be embraced because he’s a manager, he’s a coach that wants to win. And you know, if you can’t deal with that, well, you know, don’t ask him questions because he shouldn’t hide this personality for, to make, to give like a good public image. So he’s a winner; he’s a serial winner. We as players, we need to make sure we keep winning as well. Davis: What’s it like to play for United, one of the biggest sports franchises is all the world? Especially coming from a humble background, as you explained? Lukaku: It’s good. The stuff that I can do now for my family and for my country back in Africa is just amazing. That’s, for me, the best thing, you know, helping my family out. That was the No. 1 thing. Everybody’s good now. I can also if I have kids in the future, they will grow up in better circumstances than I did. I mean, even though I grew up in difficult circumstances, I still embrace it because it gives me a mental edge. I think mentally, my mental strength, my strongest asset is mental. Because whatever happens in soccer is not going to hurt me because I’ve been through worse. I’m the type of guy that, you know, I love the game and I love whatever that comes with it, but it’s not going to bother my sleep or anything because I know there is stuff in life that is really much more worse than that. Soccer is my passion and I’m really blessed to play the game, but it’s not going to kill me or anything. Davis: Shaquille O’Neal told us he once spent a million dollars in one day, and it was important for him to learn the lesson of, like, you can’t be so irresponsible with money. Did you ever have a moment like that or a financial lesson you had to learn? Lukaku: No, no. Because what happened was, when I was born … I’ve seen the two sides. When I was born, my dad had money. When I turned 6, we didn’t have money anymore. So once you see – you know, it was in the space of two years – so once you see both sides of the coin, you know that when it’s your time, you know that you’re not going to make that, I’m not going to go through that phase. You don’t want to go through that phase again. And I’m talking about for 10 years going through difficult times and stuff like that. And the two years where we had money and stuff like that, that was OK. But then as soon as my dad stopped playing, it was 10 years, boom. So when I was 15 and we agreed to sign my professional contract at 16, I knew, “Yo, this is not happening with me.” So I’m really careful with what I do. The only thing is I want my mum, my mum, and my dad, to be OK. My brother plays, too. So, you know, we, both of us did a good job for our parents. So, for now, we just enjoy my time and, you know, make sure that all the money we are earning is going to go to our kids because we don’t want our kids to go through the same thing I did. Davis: You signed with Roc Nation. You were the first Premier League player to do so. How’d you make that decision? Lukaku: It’s the way how they work with their players, the players, the artists, and stuff like that. A lot of artists that are on the roster of Roc Nation inspired me when I was a kid – Jay-Z, Fat Joe, all the others. And then you have athletes like Kevin Durant and stuff like that … I started speaking speak with a friend of mine about that, about me joining Roc Nation. And it got me intrigued, and then I was, “OK, yeah, why not?” So we started talking and we started discussing how they are going to help me with laying a foundation, how to really maximise my full potential as a soccer player. That was the thing that helped me. Davis: Have you gotten to meet Jay-Z yet? Davis: Has he given you any good advice? Lukaku: I asked him how sometimes when stuff is happening with me, people are always talking about me. So for me, sometimes I don’t know if there was jealousy involved and stuff like that. So I asked him how to deal with it and he gave me some good advice on it. So sometimes he says, like, sometimes it’s better to speak less, but give enough information when you talk so you don’t need to give the full details.